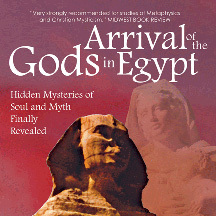 Here are some reviews of my second book, Arrival of the Gods in Egypt: Hidden Mysteries of Soul and Myth Finally Revealed. It was a joy to read and be taken on an adventure that felt excitingly familiar, believable, and comfortable. Through your writing, you brought me into a timeline of another dimension and I emerge smiling, knowing. You are truly blessed, and through your writings…bless others. Thank you. “In Arrival of the Gods in Egypt book Carol refers often to passages in When We Were Gods. Her references sparked my curiosity so much, that I sent for her earlier book. Between the two, I found enlightenment about Biblical references. Such as, “Disobedience was the original sin. Lack of humility, which kept us within God’s will, caused the Fall.” The Fall was us going from a vibrational state to a physical state and becoming trapped in the physical. Our longing to go Home (Heaven) is the desire to become a Light Being, a vibrational being again. Wow! “When Jesus says, “I died for you,” he meant taking on the death of becoming human. He took physical form to show us “the way” out of the physical and back to the freedom of a Light Being. Amazing! I never understood that before! Such Love for humanity makes me feel humble. “Your books clear up so much of my muddy thinking about Bible language and our origins. Also, reading about your experiences make me feel I’m on the threshold of something wonderful. A new way of thinking or perhaps understanding. I’m even beginning to understand the Edgar Cayce material more!